Home Bitcoin & Crypto Guide What to Buy with Bitcoin and How to Pay with BTC? This article will provide you with a comprehensive and easy guide on Bitcoin Payments. 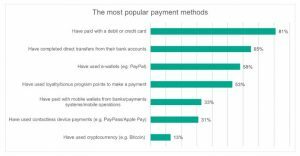 Who are the different merchants who accept Bitcoin payment across the globe? 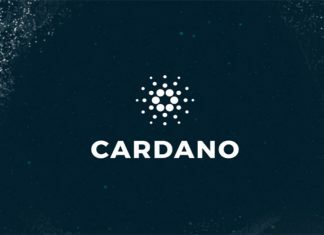 How can you purchase commodities/services from these merchants using Bitcoin? The Kaspersky Lab’s Global IT Security Risks Survey 2018 (surveyed 12,448 consumers in 22 countries) found that 13% of the respondents have used cryptocurrency. That’s a big leap in the last 5 years! The percentage will only increase in the coming years. How do I Buy Bitcoin? Refer to our article on this topic. How do I use Bitcoin for payments? We will deep dive into this in the following sections. What can I purchase with Bitcoin? 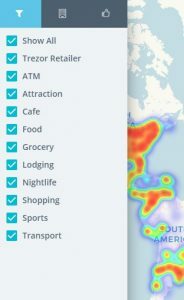 There are hundreds of retailers accepting Bitcoin all over the world. Some websites will either allow you to directly purchase commodities/ services using Bitcoin or will provide you with a link to the merchant’s website where Bitcoin is accepted. Few options are provided below. Note: Please check the Terms and Conditions of the websites before you place an order. Also please beware of fraud. 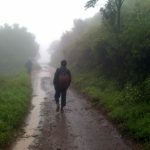 Do visit one of them. Encouragement drives adoption! Overstock.com: The retail giant allows its customer to pay for anything using Bitcoin. Simply select Bitcoin as an option during payment. 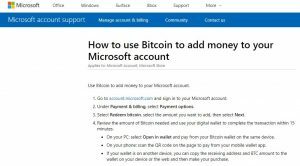 Microsoft: Microsoft allows the use of Bitcoin to add money to your Microsoft account. The amount can be used to purchase games, movies, and apps in the Windows and Xbox stores. These funds cannot be used to purchase items in the Microsoft online store. 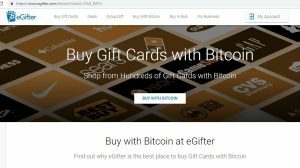 eGifter: Buy coupons from major brands at eGifter using Bitcoin. Use the coupons directly on the Brand’s website to purchase your desired item. Other notable names include Shopify, Cheapair, Gyft etc. As an example, we will use the option of online purchase on Overstock.com. Once you have added an item in your cart, you will get an option of payment with Bitcoin. The page will show you your payment amount in Bitcoin. Once you select the option you will be redirected to a Coinbase Commerce page. Scan the QR code or copy the recipient address and put it in your Bitcoin wallet. Transfer Bitcoin within the required time slot. You are done! Peer to peer purchases is made in local unorganized sectors, where standardized software and record keeping are not mandatory. This process generally requires a Wallet to Wallet transfer. Once you purchase an item from a seller, you transfer bitcoin from your Bitcoin wallet to the seller’s Bitcoin wallet. This is similar to cash-in-hand payment and is majorly non-auditable. A beginner’s guide on how to transfer Bitcoin from one wallet to another is provided here. Though the procedure of Bitcoin transfer is more or less similar for all wallets, please check your wallet guidelines before Bitcoin transfer. Transfer Bitcoin to Crypto.com wallet. Sell the Bitcoin to your desired local currency. Tap or Swipe the Card on Visa PoS device (Use the local currency for payment). We recommend the below video for further reference. Some payment solution providers directly integrate with PoS systems and also provide web and mobile-based app solutions. We will take the example of Bitpay. Bitpay provides an easy solution for PoS payment using your Bitcoin wallet. We will see increased adoption of Bitcoin payments in the coming years. 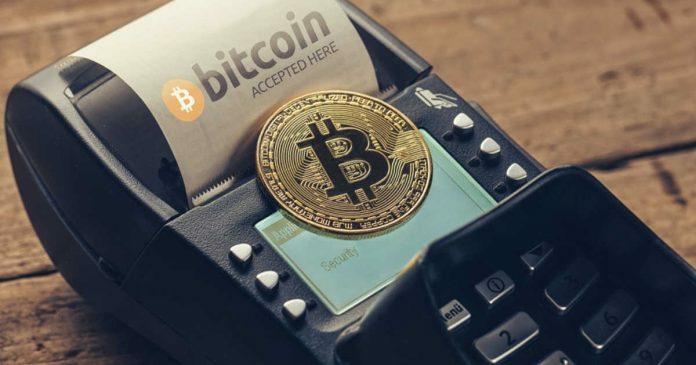 For example, Rakuten, Japan’s largest online retailer is considering accepting bitcoin (BTC) payments through its mobile payment app. With the Bitcoin Lightning Network gaining popularity, the process of Bitcoin payment is becoming simpler and faster. Lightning Network is a second layer above the Bitcoin Blockchain. We will cover the Lightning Network in a future article. This article is an opinion of the author. 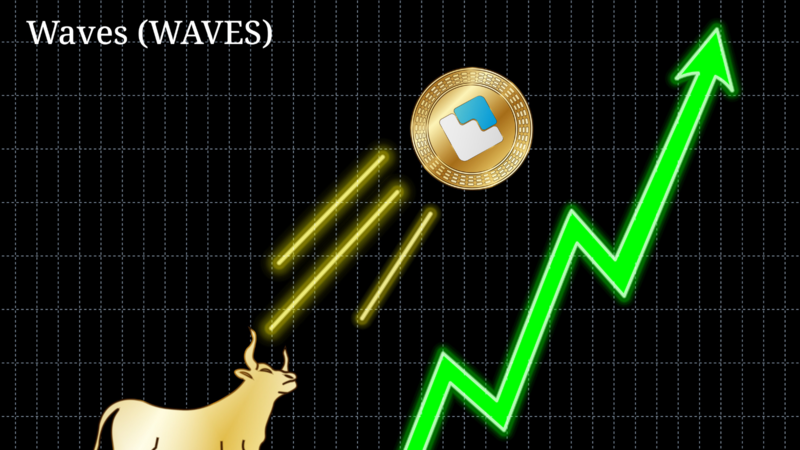 As Bitcoin transactions are still in an adoption stage, we recommend you to do your own research and beware of fraud. 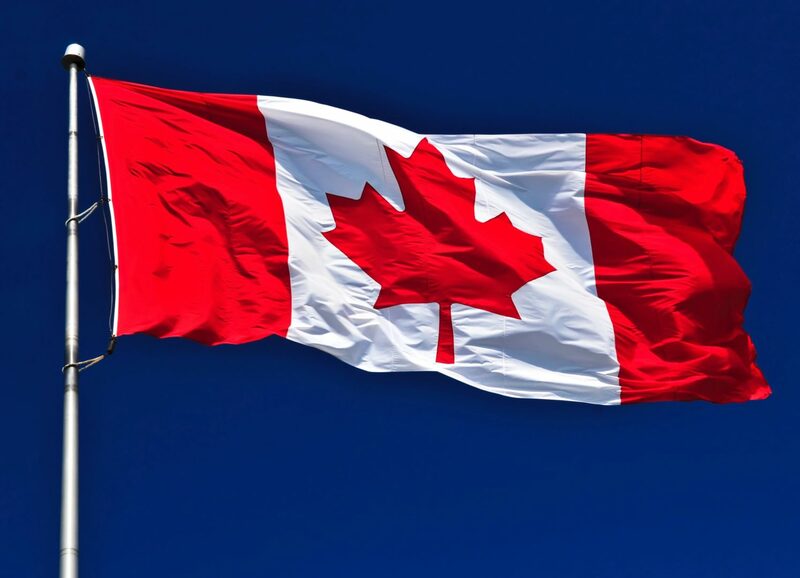 Please follow the Rules and Regulations of your country while making a transaction in Bitcoin.